Essential oil blend and aromatherapy candle. The ultimate pairing for CALM. 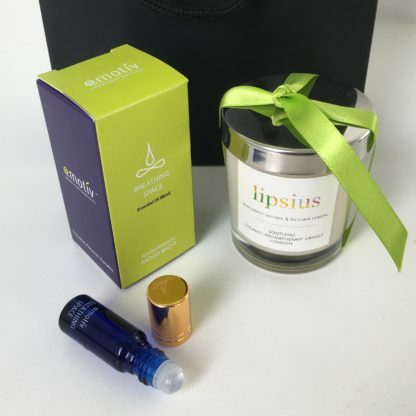 Our Aromatherapy Mood Shot coupled with Lipsius soothing aromatherapy candle is THE ultimate duo for a little quiet BREATHING SPACE. 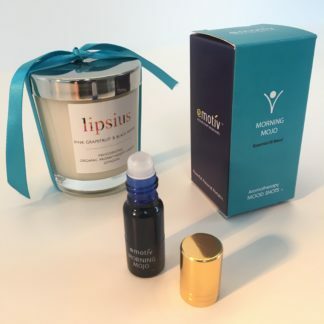 Both contain Vetiver for tranquility, Bergamot to soothe irritability, and Lemon to cleanse the mind. A bouquet of fresh citrus with a smokey soft undertone. 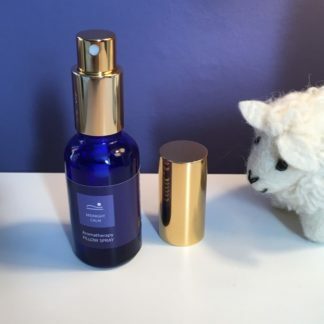 A deeply tranquil blend of essential oils in a handbag friendly, easy to apply roll-on bottle. Ready blended for instant application on-the-go, each comes with a drawstring bag for travel. 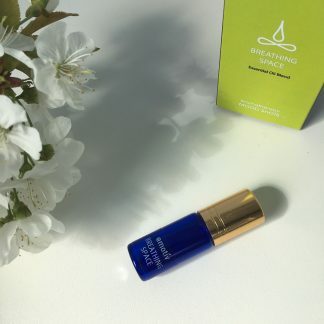 BREATHING SPACE ‘Aromatherapy Mood Shot’ contains deeply peaceful Frankincense, balancing Geranium, joyous Bergamot and a twist of Lemon to cleanse away the troubles of the day. The mood is meditative, steadying, calming.